How do you heal and transform after trauma? Diana Raab, PhD, joins us today to share how she found healing after her grandmother's suicide. 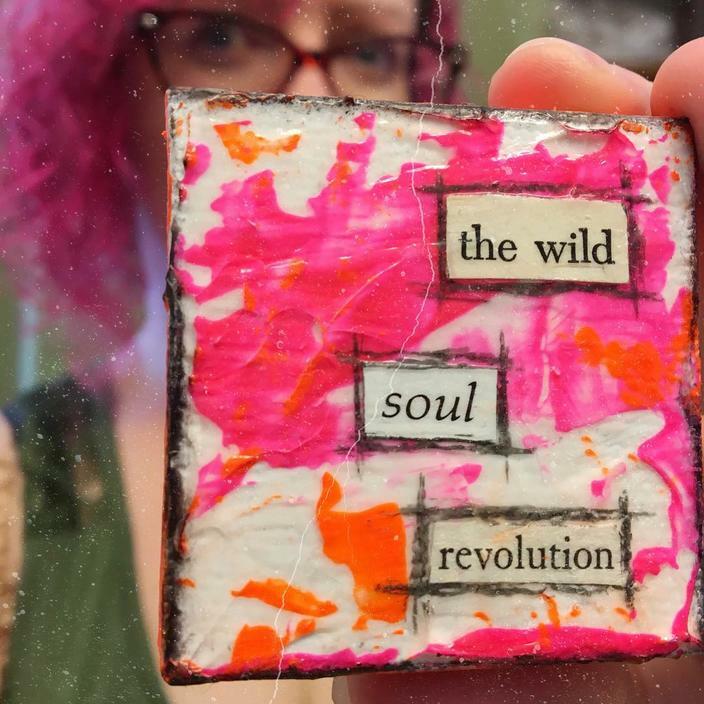 Diana's piece feels especially important as we mourn Kate Spade, Anthony Bourdain, and many more who have died by suicide. We ask how we can help those suffering with depression, but also need to know--how do their loved ones go on when suicide wins? All necessary conversations. I ask that we enter them with deep compassion above all else, for the ones suffering every day, and for the ones left behind. I wish I had known how brave I was on the day my grandmother committed suicide. I was ten years old when she overdosed on sleeping pills in my childhood home, and although I didn’t feel courageous at the time, I know that I must have been to get through the ordeal. Of course, I had help. My mother (who’d majored in English in college) decided to buy me a Kahlil Gibran journal to help me cope with the loss. 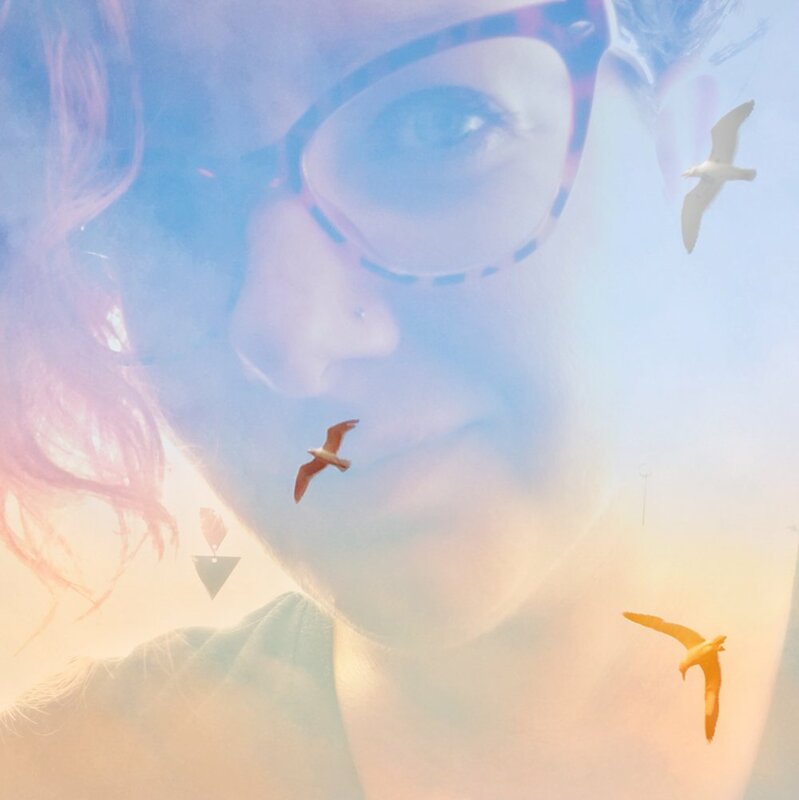 She told me, “This journal will help you move through the chaos of the moment and move you forward into healing.” She knew that writing would give me strength, and help me heal from that very traumatic childhood event. I have used writing as a way to heal and transform my life for more than five decades. At various stages, my journal writing has also been complemented by writing letters, poetry, and short stories. I had always been a seeker, but the experience of reflecting upon my grandmother’s life and then finding her journal led me on a path of discovery and further transformation as I tried to understand why she had taken her life at the age of 61. Studying my grandmother’s life leading up to her suicide helped me understand, grow, and become empowered by her experience, and take on the role of a woman warrior. I realized that she had been a survivor for most of her life. She had survived the trauma of two world wars, being orphaned, and enduring an emotionally abusive relationship. I learned from her that no matter what happened, I, too, wanted to be a survivor and a fighter. I wanted to become empowered by my experiences and also help others become empowered by theirs. Thus, my grandmother left me with a huge gift. After my grandmother died, and as the only daughter of two hardworking immigrants in the 1950s and 1960s, I was left to my own devices, in the sense that I was often left home alone to entertain myself. My mother didn’t allow me to watch television, saying that it was bubble gum for my mind; however, she was a big believer in books and journals, thus establishing my platform as a writer. Because I was alone much of the time, I was forced to pose many questions in my journal, but many of them remained unanswered. Therefore, when I had children of my own, I encouraged them to ask questions out loud, both at school and at home. I often reminded them that there is no such thing as a stupid question. As a result, I sometimes felt less than smart because there were times when I couldn’t answer their brilliant questions without the help of my support system at the time—the World Book Encyclopedia. 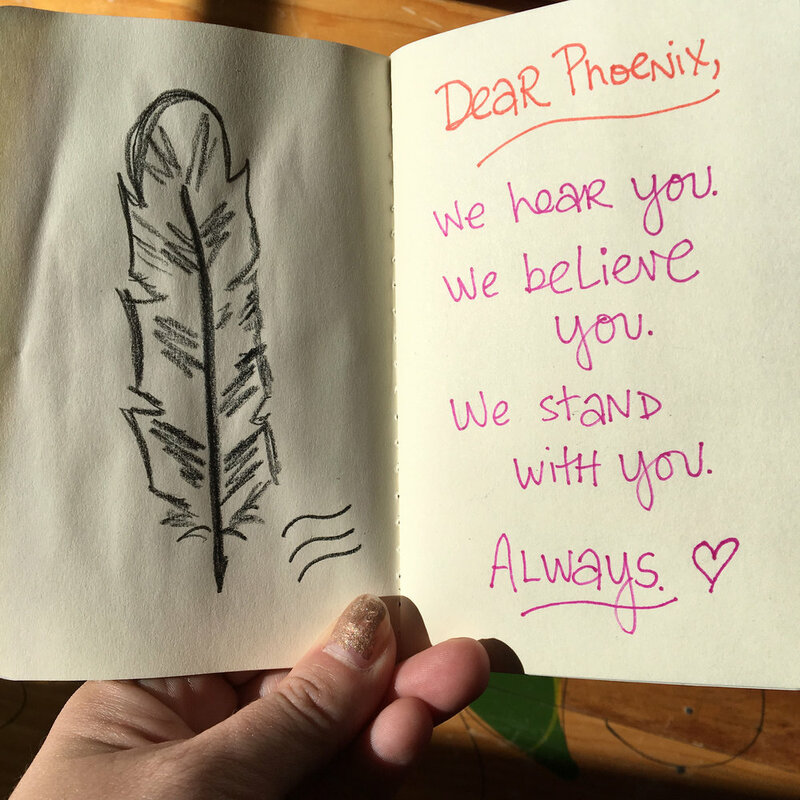 Writing can help reclaim one’s voice after it has been taken away or silenced by difficult circumstances or traumas. 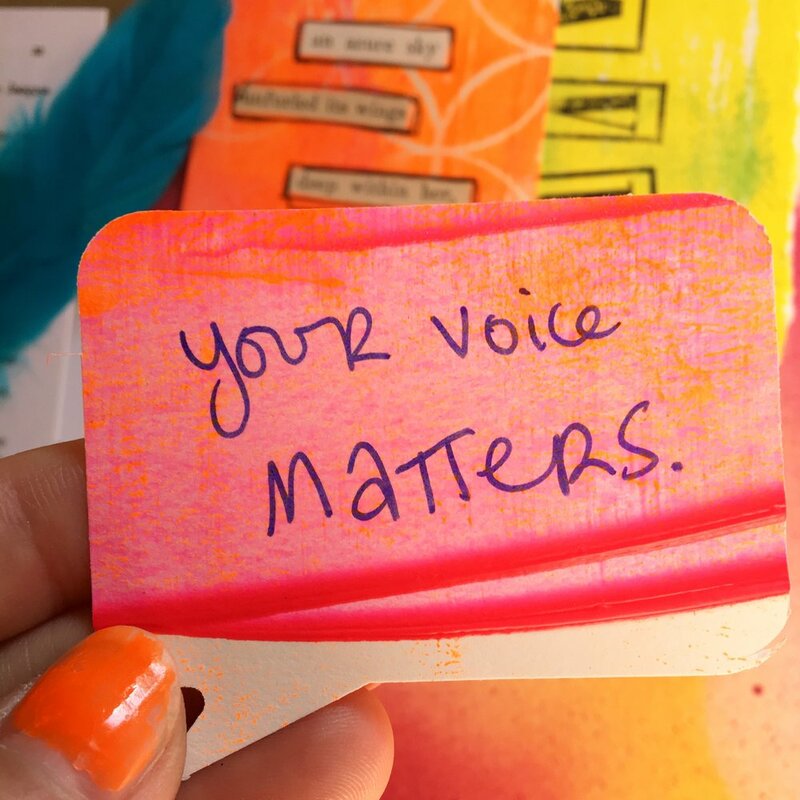 Finding one’s voice as a way toward healing can lead to huge leaps in transformation. Some people find it useful to write as they move through chaotic or difficult times, but more often than not, a certain distance from the event offers a better perspective. It took me more than 45 years to write about the trauma of finding my grandmother after her suicide. The distance provided the perspective I needed to understand why she chose to depart from this life in such a way, but one thing I do know is that I possessed a lot more courage back then than I was aware of at the time. When we are mindful, we are more likely to notice synchronicities or meaningful coincidences in our lives. Think of a time when you felt a sense of synchronicity. How did the experience unfold for you, and what was your understanding of the events that occurred? Think of a time when you made a decision and were unsure of the consequences, but the situation turned out better than you could have anticipated. Write about the circumstances of your decision. Think about what it felt like. How did your body, mind, and spirit feel at the time? 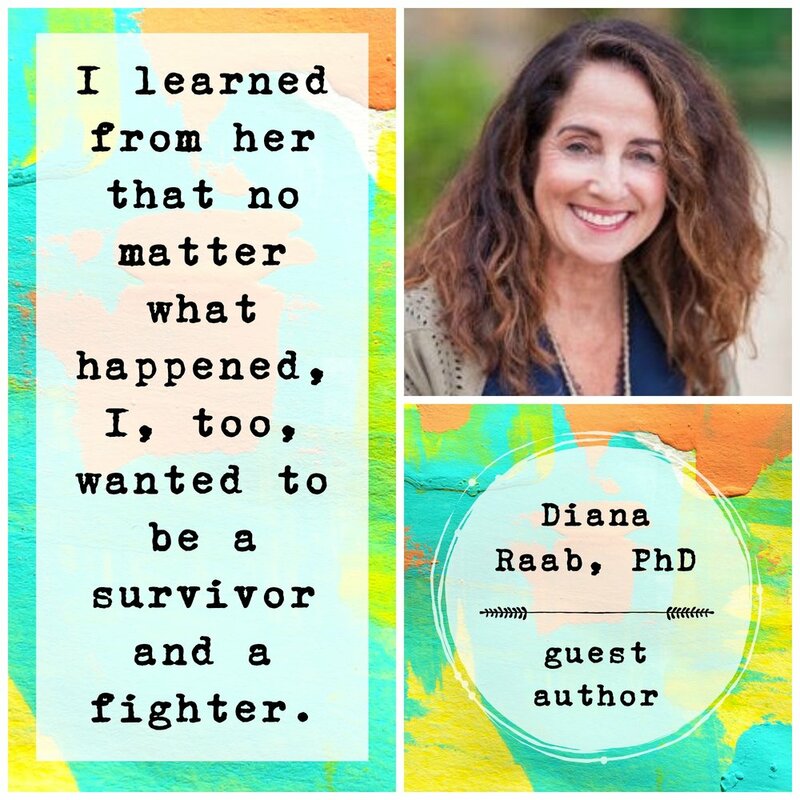 Diana Raab, MFA, PhD, is a memoirist, poet, blogger, speaker, and award-winning author of nine books and over 1000 articles and poems. 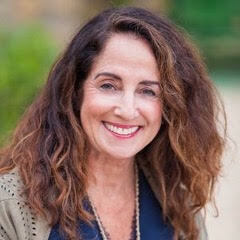 She blogs for Psychology Today, Elephant Journal and Thrive Global. Her latest book is Writing for Bliss: A Seven-Step Program for Telling Your Story and Transforming Your Life. Visit her at: dianaraab.com.